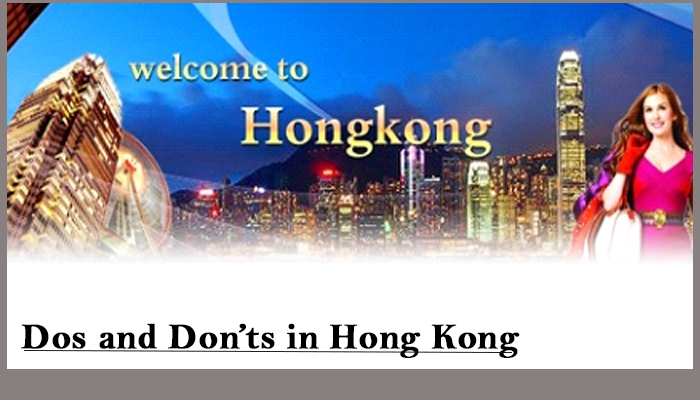 Just like with any country or city, Hong Kong has its fair share of “dos” and “don’ts” that you need to think about. Certain travel etiquette is expected from each person, but as an immigrant, you really have to pay attention considering that you will need to learn the ins and outs of the country you’re thinking about moving to. If you don’t you could end up offending someone or missing out on the overall experience. So here are a few do’s and don’t you might want to think about before making your way to Hong Kong. 1. Don’t treat Hong Kong like a layover city. Whether you’re just stopping by on a trip to another destination or going to stay for a while, don’t become so enamored of the busy airport that you miss out on the sights that are all around you. Take time to explore, and if you have the time just take a look around and see what is there to see. Hong Kong is a very diverse city. You need to get out and see what’s there instead of being confined to just one place. 4. Don’t skip the museums. There is a veritable wealth of history to be seen and enjoyed. If you really want to know more about the country learn about its history and how it came to be the place it is now. This could even help you to show greater appreciation for your soon to be new home. 5) Do bargain with vendors. This is not America remember, not all prices are set in stone. Get used to haggling with vendors over prices, as this is expected. Compare prices, try to bargain down, and try to get the best deals you can. Remember there are no price tags in some of the markets, so you can at least try to haggle. 6) Don’t just eat Chinese food. It’s a treat to be sure, but if you’re going to be spending any time in Hong Kong you’ll want to at least sample the wider variety of foods they have to offer. There are a great many restaurants that have been opened by those that immigrated to Hong Kong and decided to share a taste of something from their home country. So don’t confine yourself to one type of cuisine, try them all. Next Next post: Do All Immigrants Get Legal Representation? many awesome Places in Hong Kong….wished for a long time go to Hong Kong for travel and this my dream come true because of MoreVisas Consultancy..thank you MoreVisas for given me Hong Kong visa.